A Game-Boy-style hybrid of Mega Man Battle Network and Final Fantasy Legend II. 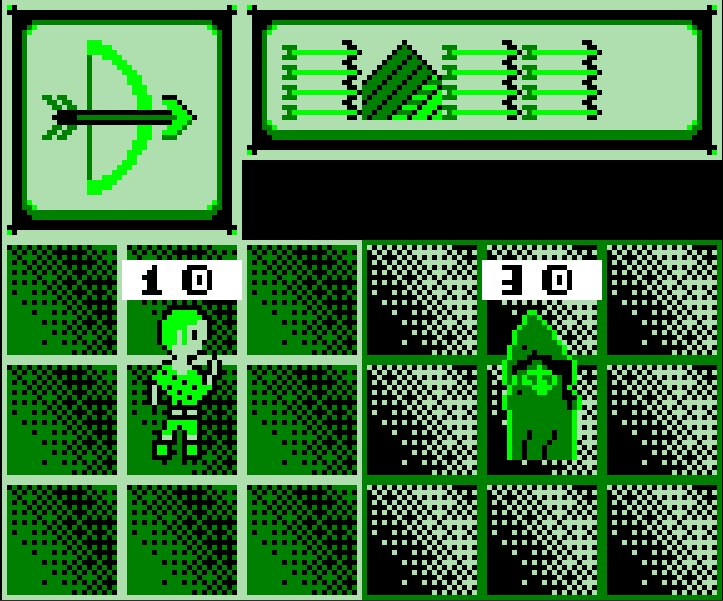 Created for Game Boy Jam 6 in a bit over a week. The original deadline version (0.0.1) is also here for posterity, but it's a buggy unplayable mess, so I'd prefer you play 0.0.2. If you're curious what changed, there's an included changelog.md. 90% of the extra work was fixing bugs. A sequel to the text adventure Bardolf's Curse. In the overworld, wait for movement to finish before opening the menu - otherwise a battle might start and all Hell breaks loose! Claim card is super buggy - if it works, you're lucky! Game Boy controls include a D-pad plus A, B, Start, and Select buttons. Use the menu to set up your Deck of Spells - this is where they get drawn from in battle. The Spell Bag contains spells you can put into your deck. Battle starts with a Spell selection menu. 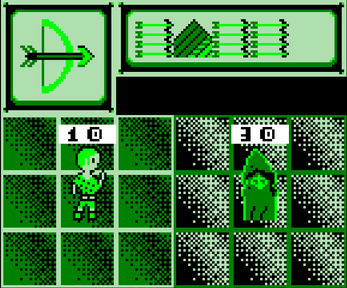 Choose up to five spells, but they must match in type (name) to take multiple into battle. During battle, you can use your main weapon as much as you want but Spells are much more powerful! Keep an eye on the top of the screen to know when you can get more spells.